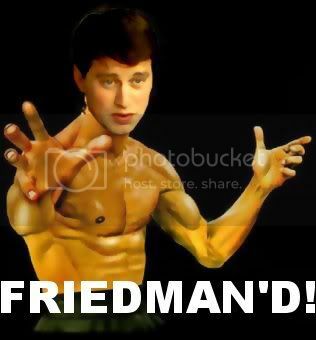 Thanks to Josh Frank for the photoshop. Earlier this morning, news broke that the Tampa Bay Rays had signed top pitching prospect Matt Moore to a rather unbelievable contract: 5 years, $14 million guaranteed with three team options that could bring the total value up to $40 million. Yes, you’re reading that right; the Rays just signed one of the best pitching prospects in all of baseball to a deal that could keep him in Tampa Bay (at a very affordable price, mind you) until he’s 30 years old. I’ve made it no secret around these parts that I’m a huge believer in Matt Moore. Before he got called up this past year, I showed how his minor league numbers put him in an elite class of pitching prospects. This is no David Price we’re talking about; Moore has stuff that compares favorably with pitchers like Stephen Strasburg, Tim Lincecum, Tommy Hanson, and Jered Weaver. He struck out 39% of the batters he faced in Triple-A, walked only 8% of hitters, and then proceeded to tear apart the majors when called up in September. Dave Cameron put together a list of all the Top 5 pitching prospects from the past decade, and as you can tell, it’s an elite group. In eight innings against the Yankees and Red Sox down the stretch run, Moore allowed only one run while striking out 13 hitters. He then carried on that dominance into the playoffs, where he shut down the potent Rangers’ lineup in both Games 1 and 4. His final postseason line? 10 innings pitched, three hits, one run, three walks, and eight strikeouts. Of course anything can happen in the future, but if you watched him in any of those games, it was difficult not to come away thoroughly impressed. Did Matt Moore just give up a large chunk of money by signing this extension? It seems likely. Jered Weaver only made $13 million through his Arb2 season, but he was also a late bloomer that didn’t become elite until these past two seasons. Now that he’s emerged as an ace, he’s making around $17 million per year through his Arb3 season and beyond. Tim Lincecum seems like a better comparison for Moore, as he posted gaudy minor league numbers and transitioned quickly to the majors. Timmy was one of the best pitchers in baseball his first full season in the majors (2.62 ERA and FIP), and based on his success this past season, Matt Moore seems more likely to flourish than flounder in 2012. Through his Arb2 season, Lincecum made a total of around $27 million, and he’s expected to make around $15-19 million in his upcoming Arb3 season. In other words, unless Moore suffers a major arm injury or completely flops — both of which could happen, ya never know — this deal looks like a potential steal for the Rays. Not only do they get Moore at a reasonable price through his team-controlled years, but they also have affordable options for a couple years of free agency. At worst, $14 million is not enough to sink a franchise. But at best, this deal will be providing the Rays with surplus value for the next eight years. So now comes the all important question: is Matt Moore now the top trade chip in baseball? Does his contract pass Evan Longoria’s as the most desirable in all of baseball? There are only five more seasons left on Longoria’s deal, and he’s owed a total of $40 million over those five years — the same total amount that Moore could get, yet over three fewer seasons. Since position players are inherently less risky than pitchers and Longoria has already established himself as one of the best players in baseball, I think you have to still give the nod to Longo…but only just. If Matt Moore comes flying out the gates this season and established himself as one of the better pitchers in the American League, he may just tip the scales by the time FanGraphs comes out with its midseason trade values series. Friedman will get plenty of credit for this signing — and well he should — but it’s worth remembering that the Rays also got lucky in this instance. Matt Moore was an 8th round pick back in 2007, and he was never ranked high on prospect lists until he started to have success in Double-A. He’s a quiet, unassuming young man from New Mexico, so despite his wild success, the idea of cashing in and guaranteeing himself $14 million probably sounded like an incredible opportunity. No matter what else happens in his career, he’s financially set for life. As an added bonus, this deal makes it likely that Matt Moore will break camp in the Rays’ rotation, rather than marinating down in Triple-A due to service time issues. 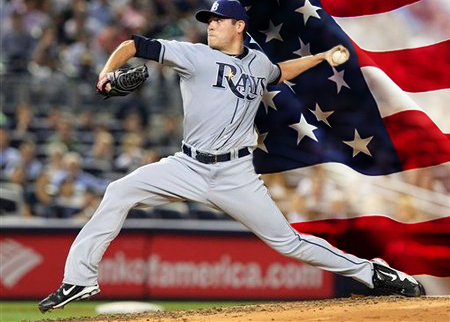 Forget Strasmas — Matt Moorial Day is coming to Tampa Bay. And he’s going to be there a long, long time. 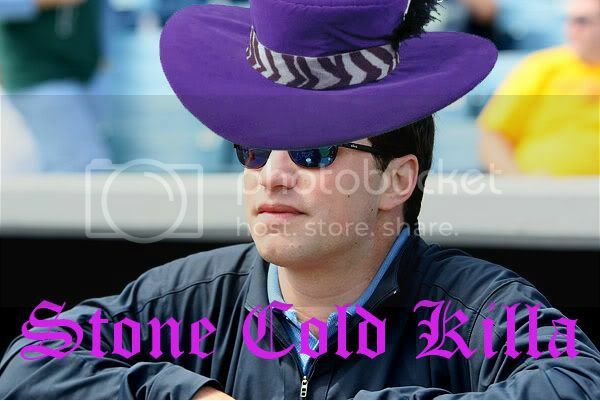 We hoped you liked reading Matt Moore, The Most Valuable Trade Chip In Baseball? by Steve Slowinski! I’d still rather have Jose Bautista. unless you are a guy who is 100% with the “could blow out his arm at any time” camp, you’d be crazy to pick Bautista over Moore. Strasburg has legendary stuff. Moore has borderline generational stuff. Stras has Legendary stuff, but is paid way more than Matt Moore and don’t have those Club Options-Boras would never allow something that team friendly to happen. plus Moore just got locked down for the next 8 years, in 2-3 years Stras will be Arb elligble and making 15-18 mil a year for 2 before bolting to the Yanks for 23 mil a year. If the British had Strasburg’s stuff, they would have won the Revolutionary War.